Weigl was born in Eisenstadt where his father, a distinguished cellist, held a position in the court orchestra; young Weigl was the godson of Eisenstadt’s presiding genius, Joseph Haydn. He came to Vienna and studied with Albrechtsberger and with Salieri who took him under his wing. As a répétiteur at the Kärntnertor Theatre he prepared Mozart’s Le nozze di Figaro (1786) and Don Giovanni (1788); he probably also rehearsed Così fan tutte. In his autobiography he wrote: ‘To hear a Mozart playing through the most difficult scores with his unique fluency, and at the same time singing and correcting the mistakes of others could not but excite the greatest admiration.’ By his late twenties Weigl became the Kapellmeister at the Kärntnertor and he wrote a number of successful operas. He spent some time in Italy but returned to Vienna in 1808; his greatest successes of the time were Das Waisenhaus of that year, and Die Schweizerfamilie (1809). Both these works were Singspiele, and were known to Schubert from his early years when he had already played numerous Weigl overtures in the school orchestra. In January 1821 Weigl, together with Salieri, signed a testimonial for Schubert regarding his musical abilities (paperwork that helped the composer not a whit). 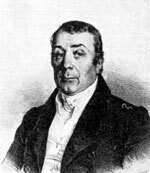 In 1827 Weigl had fallen on harder times (his operas were out of fashion); he and Schubert competed for the same position of vice-Kapellmeister at the Hofkapelle. Weigl won the appointment of course and Schubert apparently approved the choice—he had nothing against Weigl and, after all, he was more than twice the age of the thirty-year-old Schubert. The Viennese publisher Thaddäus Weigl, Joseph Weigl’s brother, later issued a number of Schubert songs under his own imprint.